A man checks his watch; it has stopped at midnight. Another man wakes up naked in a bath in an unfamiliar green-tiled bathroom, a trickle of blood on his forehead, a broken stylized syringe on the tile floor, his(?) clothes piled on a chair in the corner. He looks at himself in a mirror, seeming to only barely recognize the stranger in the glass. He dresses, finds a jacket, keys, and a postcard from a place called Shell Beach that sparks a sunsoaked memory of a terrace by the sea. Then he sees a dead woman with spirals carved into her skin, and the phone rings. This is the disorienting, wordless opening of Alex Proyas’ Dark City, and it never really improves on the enigmatic film noir resonance of this first sequence. What precisely has happened to this man, named John Murdoch (Rufus Sewell), and what it means for the larger reality of the titular nocturnal metropolis does get revealed gradually and often deliciously and compellingly, yes. But the answers are both richer and very much poorer than the establishing questions of Dark City. Murdoch does not know he is Murdoch until he retrieves his wallet from a Gilliamesque “automat”, a sort of vending machine sized up to a full diner. He doesn’t remember anything beyond a few flashes of a happy childhood associated with Shell Beach. He’s soon bothered by a nervous doctor named Schreber (an oddly cast Kiefer Sutherland) who promises him answers but never quite provides them willingly, pursued by a hardboiled police detective (William Hurt) suspecting him of a string of murders, and meets a wife named Emma (Jennifer Connelly) that he didn’t know he had and doesn’t know quite how to relate to. He’s also pursued by pale, bald, creepily, thinly elongated figures in black fedoras and long coats who try to kill him and/or control his mind. Ideally, this is all a viewer would know about this movie going in. If you want to be such a viewer, stop reading now and spare yourself an attempt to consider what’s going on in Dark City. But what is going on? That is eventually revealed, mostly by Schreber in a monologue as he, Murdoch and the detective Bumstead direct a rowboat along a dark urban canal. The city, you see, is an enormous running experiment, a lab rat maze for human subjects (Schreber is seen with such a maze when Emma first meets him, foreshadowing these later revelations). The pale gents, known only as the Strangers, run the show from a kooky gothic subterranean lair, utilizing a collective mind and psychokinetic powers called “tuning” to pause and remake the cityscape each night, sprouting new buildings like accelerated-growth flowers, shifting their human subjects’ socioeconomic situations, memories, indeed their entire lives, just to register and try to understand the effect when they restart the clock and “life” resumes. The sun never rises in this constructed city, a symbolic marker of the ignorant, helpless existence of the repeatedly manipulated people who dwell in it. John Murdoch, for whatever reason, cannot be so easily manipulated by the tuning Strangers, and as he comes to realize the situation in the city he also realizes that perhaps he has the power to change it. He sets off on a single-minded quest to find Shell Beach, to pinpoint a properly non-existent locus of purity, innocence and happiness where all uncertainties, above all the uncertainty of his identity, will be resolved. Shell Beach is a fantasy creation, invented by the Strangers’ human-memory chemist Schreber (who is named after a schizophrenic German judge who was an important case analysed by Sigmund Freud and whose memoirs are frequently referenced in the film) to provide a reasonable backstory to Murdoch’s life. It does not exist, but Murdoch’s ultimate act of resistance to the Strangers’ unseen authority is to find it, and when it cannot be found, to create it himself. 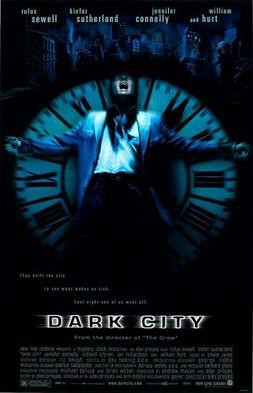 Theologian Gerald Loughlin reads Dark City as a recasted take on Plato’s Allegory of the Cave: Murdoch, like Plato’s ideal philosopher, discovers from whence the shadows on the cave wall originate, but instead of freeing the imprisoned human subjects with this knowledge and power, he uses it to craft his own shadows, his own illusions. Dark City has been closely associated in late ’90s cult film with The Matrix: not only are their plots, philosophical themes and emerald-tinged, leather-bound neo-noir look quite similar, they were released a year apart and were shot in the same studios in Sydney, Australia using many of the same sets. Murdoch’s role as a specially-powered liberator of the controlled masses, but only on the preconceived terms of the forces of hidden hegemony, closely mirrors Neo’s niche as The One, delineated at the end of The Matrix Reloaded by the Architect as an established if accidental algorithm in the system that grants the disaffected with the illusion of freedom of choice while securing their unconscious obedience to the imperatives of the hegemons, be they insect-like robots as in The Matrix or teeth-chattering albino psychic creeps as in Dark City. But The Matrix was a massive popular success while Dark City was a commercial flop that, despite the dogged persistence of the praise of America’s top film critic, has managed only mid-level cult success and appreciation since its release. Alex Proyas is not a lesser visual stylist than the Wachowskis by any measurable means; if anything, his visionary mash-up of film noir, Terry Gilliam’s Brazil, Fritz Lang’s Metropolis, and nutball B-movie goth sci-fi is much more atmospheric and resonant than the concurrent settings of The Matrix. It’s depressingly materialist-essentialist to say it, but Dark City‘s Achilles heel might be its limited budget. In some features, the limitations have an clever, almost serendipitous resonance. Every scene, interior and exterior, feels inexorably like it’s being shot on a soundstage, but then, in the Strangers’ artificially-crafted city, it should feel that way. It detaches and disorients the viewer but the effect has a weird congruence. Indeed, considering Proyas’ production funding caps, Dark City has an unusually fully-realized vision and rarely feels visually compromised in any real way. But there are other compromises. There are not any good performances to speak of. 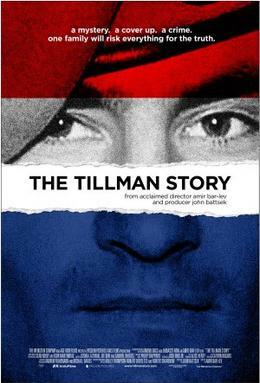 Sewell is convincing, if far from leading man material, and genre legend Richard O’Brien slithers through the movie as lead Stranger Mr. Hand, a character conceived of for the veteran of such roles. Hurt is barely trying, Sutherland is overly mannered and lost in a speech impediment, and the young Connelly is blank and bored (she was always beautiful, but only really became an interesting actress in later years). Furthermore, as seductive as the film noir set-up is, the jarring instrusion of the cornball science fiction solution is a worse turn-off than a bad pick-up line. By the time Murdoch and Stranger elder Mr. Book (Ian Richardson) are floating above a crumbling city mindwave-fighting, an intriguing premise has long since dissolve into ridiculous genre nonsense. The visions of Dark City are bold and often memorable, but their eventual implications and resolutions are not nearly as potent. One more way the film resembles The Matrix, after all. Most Canadians believe themselves to be special by virtue of their being Canadian. If you were to confront them with this, they would likely deny it. But that denial would in itself buttress the impression of specialness. It would constitute an expression of humility accompanied (as it almost certainly would be) by even the smallest degree of self-righteous importance at being ever so humble (“I know I’m a hundred times as humble as thou art,” as one of the world’s biggest pop stars once put it). This is the purest expression of Canadian exceptionalism, which manifests as an exceptional unexceptionalism. Like many key features of Canadian identity, Canadian exceptionalism takes as its vital oxygen a sort of oppositional energy to what is generally understood as American exceptionalism. American exceptionalism is conceived of as a continuation of manifest destiny, a ceaseless, visionary determination to occupy all continents literal and figurative, be they purely geographical or financial, cultural, political, psychological, metaphorical. Canadian exceptionalism takes its cue from American exceptionalism but overtly rejects the imperialistic expansionism inherent in this deeply-ingrained stereotype of the Yankee character. That rejection, in the national cultural imagination, is what makes Canada exceptional. Canada, it is understood, wishes not to conquer but to coexist, desires not conflict but cooperation, pursues collective order and polite equilibrium rather than engaging in some potentially destabilizing individual pursuit of happiness. This anti-American position-taking feeds into left-of-centre self-images of Canadian society as diverse, progressive, tolerant, and more open and inclusive than that of our more populous and more powerful southern neighbours. Canada may not be able to boast of the United States’ remarkable cultural, industrial, and international achievements, but that’s exactly what makes it better. Like most stereotypes of national character, this identitarian discourse is largely bunk. A triad of recent events in Canadian current affairs both demonstrates Canadian exceptionalism in discursive action and exposes its fundamental inadequacy and inaccuracy as an explanatory paradigm. Last week’s headlining happening in the country was the desperate, deadly shooting spree carried out by Michael Zehaf Bibeau on Parliament Hill in Ottawa. A homeless, angry, drug-addicted young Quebecker who had converted to Islam and embraced certain elements of both anti-establishment and jihadist ideology, Zehaf Bibeau shot and killed Corporal Nathan Cirillo as he stood guard at the National War Memorial before running into the Parliament buildings, where he was shot dead himself by the RCMP and the Parliamentary Sergeant-At-Arms, Kevin Vickers. National tributes to Cirillo and Vickers followed, as well as shock and resentment at and vigorous over-analysis of Zehaf Bibeau’s motivations, aims, and the catalysts for his behaviour. Following hard on the heels of another deadly hit-and-run targeted at a Canadian soldier in Quebec by a diagnosed schizophrenic who also identified with fundamentalist Islamic thought, the events in the nation’s capital sparked a round of self-examination and increased security and vigilance by Canadians across the country. 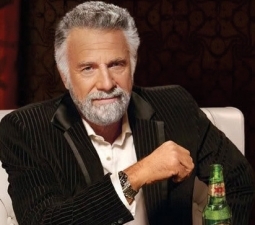 But it also fired up the engines of that particularly Canadian form of exceptionalism. Beyond shock and outrage at such disorderly violence, one of the dominant early reactions of Canadians online was to praise the CBC’s television arm for its calm, reasoned approach to covering the breaking news from Ottawa, which remained in flux for several hours after Zehad Bibeau’s brief rampage on the Hill. CBC News anchor Peter Mansbridge’s measured on-air form impressed American observers accustomed to frantic, panic-inducing sensationalism from their 24-hour cable news outlets (Canadians may define themselves as Opposite Americans, but we do hang desperately on the merest hint of incipient praise allotted to us by our elder brother to the south). Likewise, the orderly, quietly defiant resumption of the House of Commons session the very day after a shootout rang out through the corridors of Parliament fed into this self-image of Canadians as a Stay-Calm-and-Carry-On sort of people. But there was a darker side to the popular reaction to the shooting on the Hill. A more reactionary element in the country immediately singled out Zehaf Bibeau’s extremist Islamism as the obvious cause of his assault on symbolic public monuments and those associated with them, even if this troubled young man’s story has turned out to be much more complex than what can be labeled mere “terrorism”. For a vocal, belligerent slice of Canadian conservatives, the attack was the irruption of global jihadism into Canada’s peaceful-seeming reality that they had predicted and warned of for so long that they seemed almost hopeful for it to happen, almost giddy and elated once it did. The underlying bigotry and prejudice of these views is frequently disavowed under the aegis of Canadian exceptionalism’s progressive focus on multiculturalism and tolerance, but the isolated bursts of racially- or ethnically-charged reactions to the Ottawa shootings showed this disavowal to be merely discursive. The fear-based counterideology represented by Islamophobic Canadians dubbing this lone gunman attack “Canada’s 9/11” (as if merely calling it such might make it so) may not precisely be supported by Prime Minister Stephen Harper and his Conservative Party, but it is quietly fomented and fully exploited by Harper’s government. 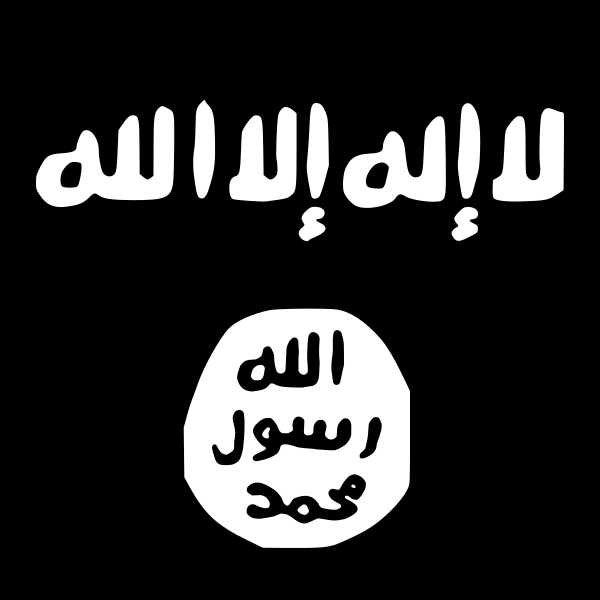 Through the Prime Minister’s remarks in the aftermath and the following day in the Commons, it was made starkly clear that the Conservatives intended to use the unsettled, insecure feelings that the shooting sparked in Canadians to push through a long-planned piece of landmark anti-terror legislation as well as to justify its military participation in the anti-ISIS campaign in Iraq. Restrictive, intrusive investigative and surveillance powers for the state and police cuts against the common conceptions of Canadian exceptionalism, to say nothing of military action; Canadians buy into patriotic constructions of the mass slaughters of World War I as nation-building crucibles, but also cherish the country’s rich (but decidedly mixed) peacekeeeping legacy. The minority reaction of aggressive, anti-Muslim anger seems to have triggered something, however, or perhaps set existing prejudices and unprogressive actions into sharper relief. In the nation’s largest metropolis, Toronto, a bitterly divided electorate of splintered identity-politics tribes ramped up discriminatory rhetoric in a municipal election already sadly defined by it. The lion’s share of this rhetoric stemmed from the conservative Ford Nation, the frighteningly unswerving acolytes of the arch-right-wing, scandal-prone, faux-populist Ford brothers (Mayor Rob swapped places with Councillor Doug halfway through the mayoral campaign after the former was diagnosed with cancer, the maneuver executed with all of the subtlety and flow of a wrestling tag team switch). The ugly white resentment, paranoia, and distrust of misidentified elites (as if the millionaire Fords somehow don’t qualify as privileged) that the Fords have encouraged and ridden for the balance of their political careers was spilling out everywhere. Racial slurs were leveled at the most prominent liberal candidate for Mayor, Olivia Chow, at debates and in political cartoons in the city’s main right-wing populist daily newspaper, and even ran into racially-charged vandalism targeted at candidates in elections so anodyne as one for local public school board trustee. Such discriminatory rhetoric is considered deeply un-Canadian in terms of the tenets of exceptionalism, but has been proven in this election (and the four years of Ford-dom that preceded it) to have a deep-seated constituency in Canadian society and culture. As if to lay a finishing blow on the staggering corpus of Canadian exceptionalism, the news that Jian Ghomeshi, the host of CBC Radio’s Q and one of the nation’s most beloved broadcasters, had been fired by the public broadcaster on the heels of sordid accusations of sexual assault (to which Ghomeshi responded with a $50 million lawsuit against the Ceeb) broke Sunday night and expanded today. At the risk of feeding into the sense of privileged self-regard made blatantly self-evident by Ghomeshi’s Facebook statement ahead of the breaking news, the accused sexual abuser possessed as good a claim as anyone in the country to the status of poster-boy for Canadian exceptionalism. Previously representing Canada’s self-perceived multiculturalism, creativity, open-mindedness, and sensitivity, as well as that bedrock of good-natured humility, Ghomeshi’s true nature has been laid bare by these revelations, and it is highly unsightly in its patriarchal, creepy, chavinistic disregard for women and for the bounds of sexual consent. The persistence of Canadian exceptionalism may be proven out by its resistance to anti-terror laws and war, discriminatory rhetoric aimed at immigrants, and suspicions of sexual assault by one of its most well-known domestic avatars. Most likely, it will endure and survive by compartmentalizing these incidences as exceptions to the well-defined but malleable terms of exceptionalism. But with the right kind of eyes, it’s easy to identify in them the rotting core of the self-perpetuating ideology of Canadian exceptionalism. For a director with seminal cinematic masterpieces on his resume who makes expensive, beautifully-shot, ambitious pictures with epic scope, vision and deep intellectual potentialities, Ridley Scott has a tendency to fly under the radar as far as buzzworthy film releases go. He can cast Russell Crowe as a grim Robin Hood to a sort of mass shrug from popular audiences. It took a heavy-handed suggestion of Alien prequel-hood to generate much of a film-geek frisson around Prometheus, and his forthcoming Moses vs. Ramesses ancient war epic already seems mired in racially insensitive and sometimes bizarre casting, like, say, Jesse Pinkman as Joshua. He’s not received a Best Director Oscar nomination for over a dozen years (since 2001’s Black Hawk Down, which has served as inspiration for the entirety of Paul Greengrass‘ work since then but is otherwise a bit forgotten). For an auteur of Scott’s stature, that’s an eternity in the wilderness. Scott’s hoary, unwieldy medieval crusades narrative Kingdom of Heaven seems on the surface to typify this high-budget artistic wandering. Choosing the then white-hot action leading man Orlando Bloom to play a hirsute 12th-century blacksmith who finds himself commanding the defence of the holy city of Jerusalem from Saladin’s sieging armies probably seemed like a good idea at the time. But as Kingdom of Heaven wears on, it requires brooding thought and consideration from its star that Bloom, for all of his mastery of battle movement, can’t effectively summon. Bloom’s Balian wends his way on a rambling quest to the Holy Land through one of the most vividly detailed and accurately-pitched onscreen visions of the medieval world ever realized. It’s a world predicated on the chilled closeness of mortality and the lofty, remote promises of escape from grim quotidian conditions in a blessed afterlife. Balian kills his grubby local priest (also his half-brother, a cameo for noted crafter of creeps Michael Sheen) for a slight to his suicided wife and chases after his nobleman father (Liam Neeson) to join his company in a Crusade to recapture Jerusalem from the infidel Muslims and perhaps gain divine forgiveness for his sins and those of his wife. Neeson’s Godfrey is a hard man who teaches him some fighting skills before inevitably shuffling off the mortal coil; he memorably boasts about fighting for two days with an arrow through his testicles, so he might know a thing or two worth passing along. Eventually shipwrecking in the Holy Land, Balian befriends a Saracen (Alexander Siddig) who may be more than the well-spoken servant he seems to be. He then becomes embroiled in a rather complicated set of Crusader State political and military intrigues swirling around the leprous but honourable King of Jerusalem (Edward Norton in a metal mask, from behind which he outacts the vacant, subtextless Bloom for long stretches) and a few rather more morally leprous French noblemen (including Marton Csokas and a wonderful scene-stealing Brendan Gleeson). He tries to get away from the religiously-tinged conflicts, farming on an estate and tiptoeing around a fetching noblewoman (Eva Green), but is dragged back in by Saladin’s assault on the ragtag Christian garrison protecting Jerusalem. 20th Century Fox forced edits to Scott’s film that rendered it somewhat incoherent, and his longer but more fleshed-out Director’s Cut is a considerable improvement. If ponderously-paced, inhumanly scaled, but occasionally sweeping and transporting medieval sword-and-sandal stuff appeals to you, I’d mildly recommend the film in its extended form, rather than advise cautious avoidance in its truncated cut. It’s not only that every major character is rendered more rounded and real (particularly Green’s Sybilla), but the rhythms of Scott’s direction and narrative throughlines of William Monaghan’s script are kept intact and gain some measure of power and pathos. Of course, Kingdom of Heaven‘s underlying politics are still entirely too liberal-humanist to be believable in the medieval context (the Braveheart Syndrome). It preaches faith-not-religion without recognizing the highly porous boundaries between the two, and undervalues the role of both religious fervour and the naked desire for land, wealth, and power in motivating Crusading Europeans to decamp from a crowded, wartorn continent to the deserts at the eastern end of the Mediterranean. It portrays Saladin (Ghassan Massoud) and the Saracens sympathetically but also constructs them as an invading horde of Orcish Others to be dispatched in the hundreds lest they massacre every living thing inside the city walls. The Crusaders, with the exception of Balian and a wry Hospitaller (David Thewlis) who does not make it through the disastrous battle at the Horns of Hattin, are pretty uniformly complete bastards, next to which any Muslim misdeeds seem relatively slight. Applying modern conceptions of compassion, justice, and international law to the medieval context is a foolish index to judge the moral profile of film characters, of course, but then Kingdom of Heaven panders to those conceptions fairly consistently. In a similar way, applying film criticism’s precepts to a late-period Ridley Scott historical epic on the basis of his earlier and more praised work (I refer less to Alien or Blade Runner than to his most recent unqualified critical and popular triumph, Gladiator) is also foolish, but it’s nonetheless always done. 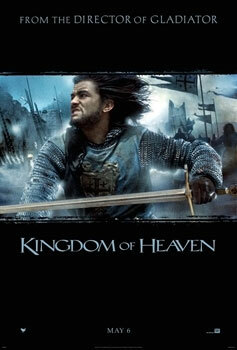 Kingdom of Heaven, especially in its Director’s Cut, has some features worth praising, but it hardly measures up to a standard that Scott once set but has now seen recede deep into the rear distance. The Man Booker Prize is no small honour, and Eleanor Catton’s narratively sprawling, absorbing novel The Luminaries is no small honouree. The 28-year-old Canada-born, New Zealand-reared writer’s 800+ page astrologically-structured mystery is set in the mid-1800s during her adopted country’s West Coast gold rush and freely mixes a directness of prose with narrative and structural complexity. 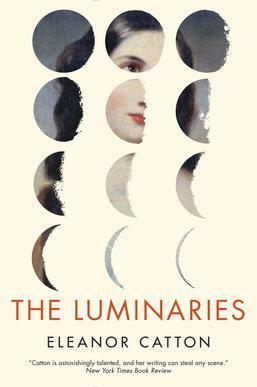 A compelling read for most of its length, The Luminaries loses some must-finish appeal in its closing segments, a miscalculation attributable mostly to a privileging of that aforementioned meticulously worked-out structure over narrative momentum and character empathy and engagement. The Luminaries is a ripping-enough yarn about intrigue, betrayal, conflict, and redemption in and around the gold-rush boomtown of Hokitika on New Zealand’s West Coast. Beginning in 1866 and moving forward before flashing back (the placement of that flashing back is a big issue, but we’ll get to that in a moment), The Luminaries begins with Walter Moody, a Scottish barrister and prospecting hopeful, who arrives in town in the midst of a deluge characteristic of the region. He’s fleeing a deep family shame and a nearer, more mysterious vision that he’s seen on board the ship that landed him in Hokitika, and plans to stake a claim on the fortune-making goldfields in the area. Seeking solitude and comfort in the lounge of his hotel, Moody happens upon a conspiratorial congregation of twelve seemingly mismatched local men. A genial representative of the enigmatic dozen gentlemen, a shipping agent named Balfour, attempts to suss out Moody’s nature and background, and the gathering eventually elects to inculcate the newcomer into their shared secret. The meeting concerns a labyrinthine riddle involving a deceased hermit, a vanished young man, an ambitious politician, an opium-addicted prostitute, a rough-edged sea captain, a fashionable widow, stolen gold, an unsigned bequest of wealth, the local prison, and a crate full of dresses, a tangled situation implicating every man there gathered in some way. This sounds like an intriguing set-up for a cracker of a detective story with the rational, analytical Moody as the sleuth figure. Though there would be nothing wrong with that, it’s to Catton’s credit that she proceeds unpredictably. The story does eventually reach a sort of climax in a courtroom drama section with Moody as the brilliant legal unraveller of the tangled web woven by the sea captain Carver and his comely accomplice Lydia Wells. But what leads to those chapters is a tapestry of colliding motivations and ambitions, muddled associations and trespasses into each other’s orbits pushing her varied cast of characters towards conclusions that are introductions, endings that constitute beginnings. Catton is a fine prose stylist, fond of digressions into the psychological nuances of her characters’ self-conceptions, relations to others, and closely-held illusions and prejudices. Her narrative is also riveting, at least up until her structural choices take over from natural storytelling rhythms and reader interest inevitably wanes. Despite The Luminaries‘ ostensible setting in a historically firm time and place, it invokes Victorian spiritualism very prominently and involves seemingly supernatural occurences (ghostly apparitions, spirit possessions, apparent mental and physical linkages across time and space) and mysteries that are never fully explained. Such supernatural elements proceed from the astrological foundations and architectural skeleton of the novel. The dozen men meeting in the hotel lounge when Moody arrives are based on the twelve signs of the zodiac: an imperious goldfields magnate and pimp is Leo, a confident and physically imposing Maori guide is Aries, and so forth. Another set of characters, including Moody, Carver, and Lydia Wells, represent the planets of the solar system. The conjunction of the characters of corresponding astrological signs and heavenly bodies and the sort of interactions they have are based by Catton on the personality traits and psychological assumptions of the astrological profiles, as well as upon the passing phases of the moon. Catton’s chapters and “parts” begin much longer and grow much shorter as the book moves along, much as the lunar cycle begins at full wax before waning to a glowing sliver in the nocturnal sky. It’s surely this intricate, tremendously clever structure that so attracted the Booker jury, lending a depth and resonant allure to the page-turning period intrigue of Catton’s central mystery. But Catton chooses to mostly resolve the core mystery of the “current” strand of the narrative with the courtroom chapters with a hundred pages to spare, at which point she fills in the back story that leads her characters to their collisions in Hokitika. The verve goes out of the storytelling at this point, it must be said; so many juicier enigmas are left unresolved in the main body of the text that it seems odd to spend an extended denouement sketching in lesser mysteries in the narrative’s deep background. It is, to put it bluntly, a mistake, though not one that significantly dents the otherwise compelling facade of The Luminaries.